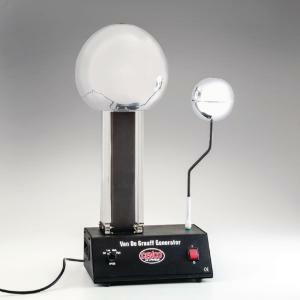 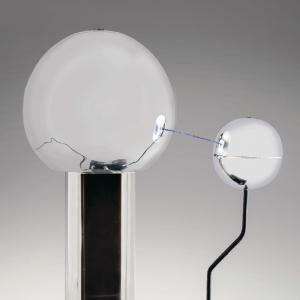 400,000 Volt Van De Graaff Kit with electrostatic attachments. Finally an all inclusive, high-power van de Graaff kit. This van de Graaff will generate 200,000 - 400,000 volts depending on humidity levels. 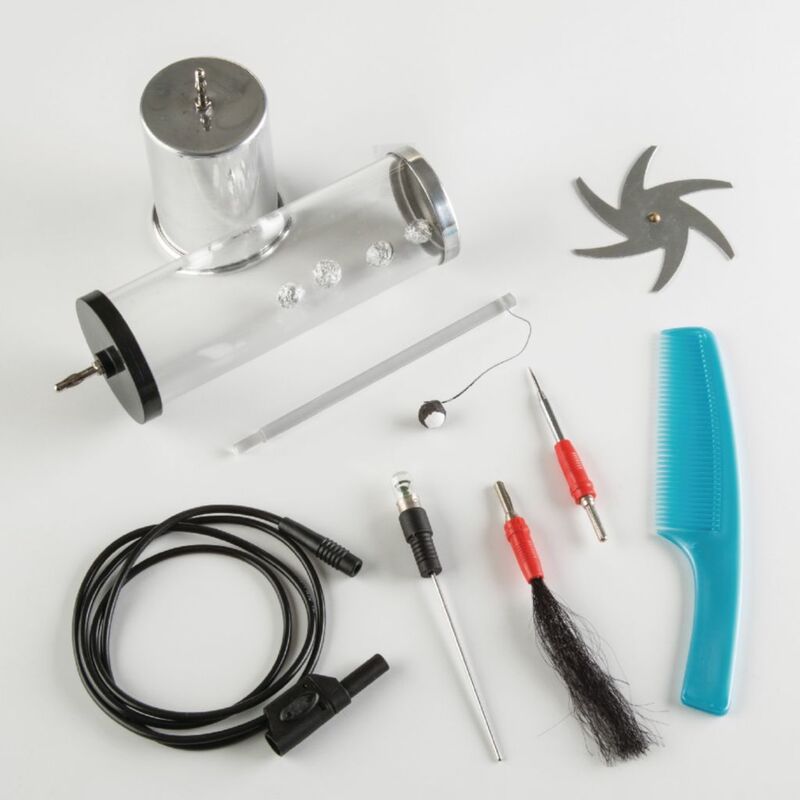 Kit includes demonstrations that cover all aspects of electrostatics such as charge conservation and transfer, Triboelectric Effect, conductors, insulators, Ionization. 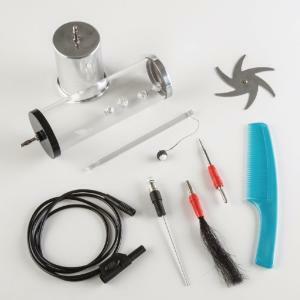 Kit includes, van de Graaff, discharge wand, dust cover, Faraday's pail, Perspex cylinder, head of hair, point discharger, neon bulb, electric whirl, Pillar with suspended metal sphere, and comb, as well as an activity guide that explains how to use all attachments.